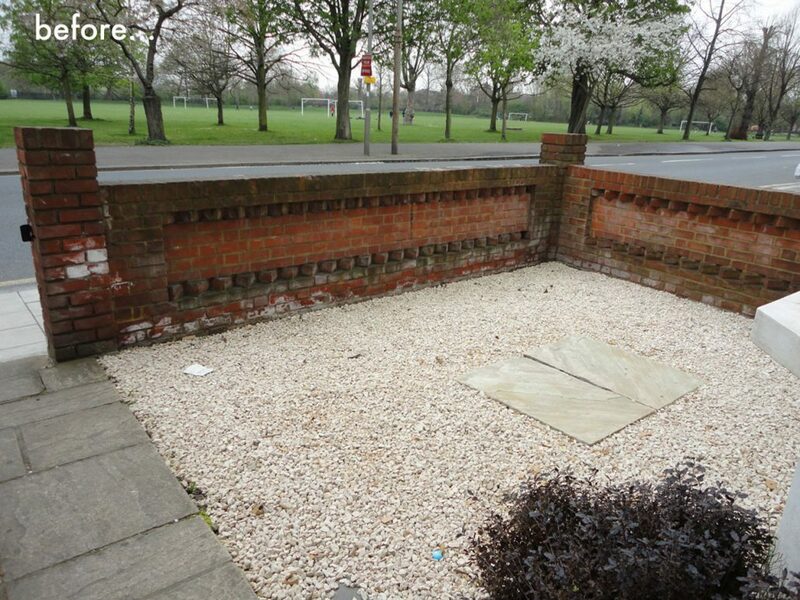 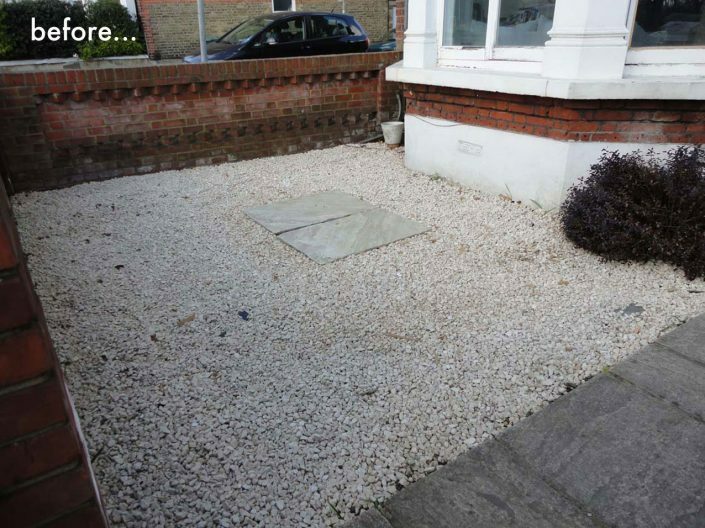 A large corner Victorian house overlooking the common was literally a ‘blank canvass’ for something a bit spectacular. 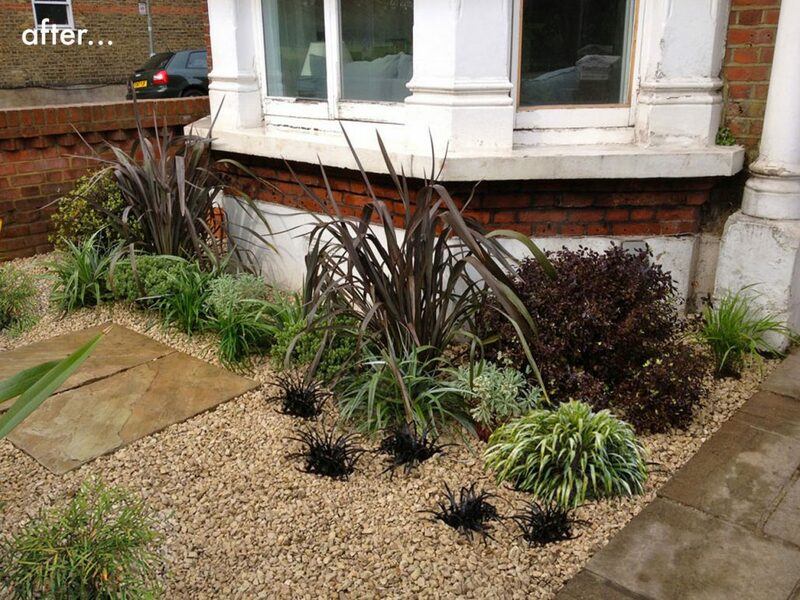 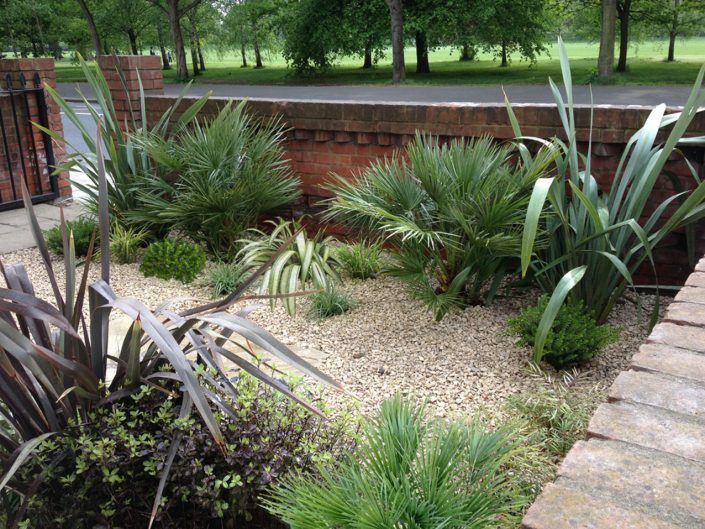 The owner wanted “architectural planting” with no flowers … actually a very practical low maintenance scheme, especially as we were planting into a deep mulch of gravel which would suppress future weed invasions. 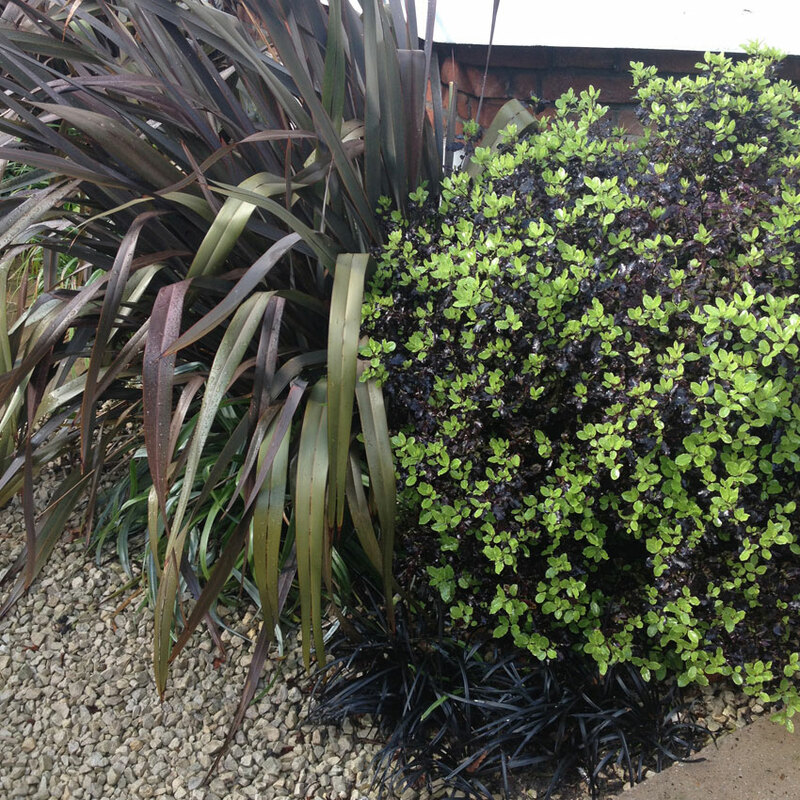 The only plant that existed was a pitosporum ‘Tom thumb’ which the owner loved – so this dark glossy black leaved shrub was used as inspiration for the new planting scheme. 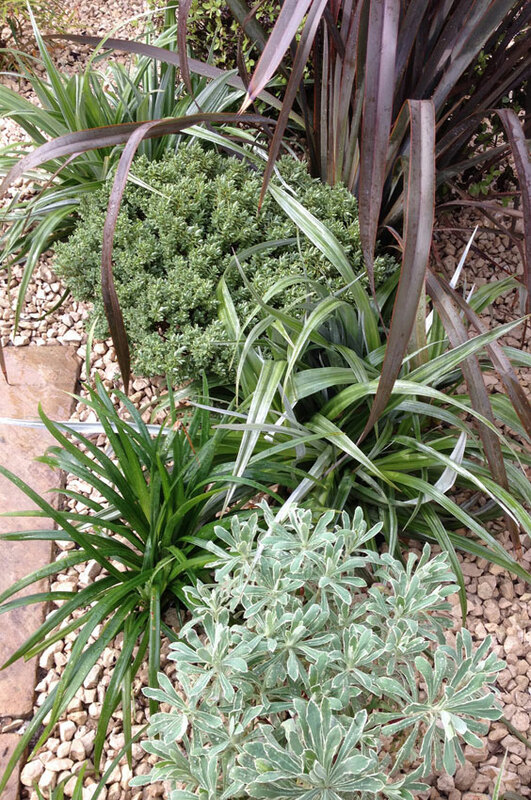 A palette of dark and light contrasting tones with splashes of vivid limes and silvery greens for contrast was the theme. 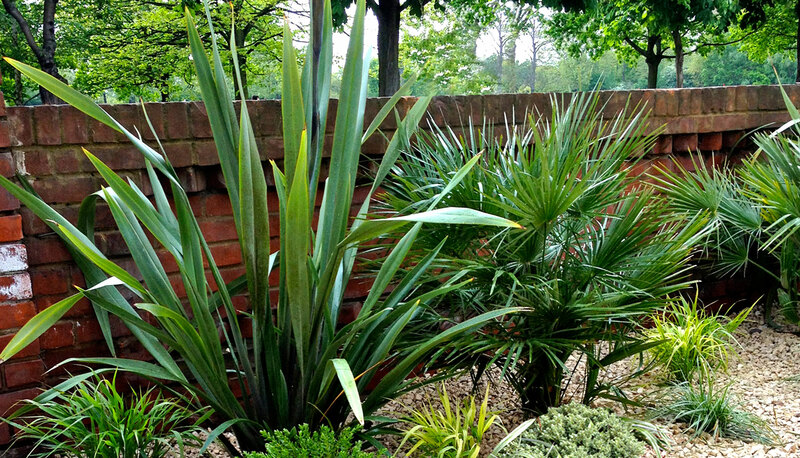 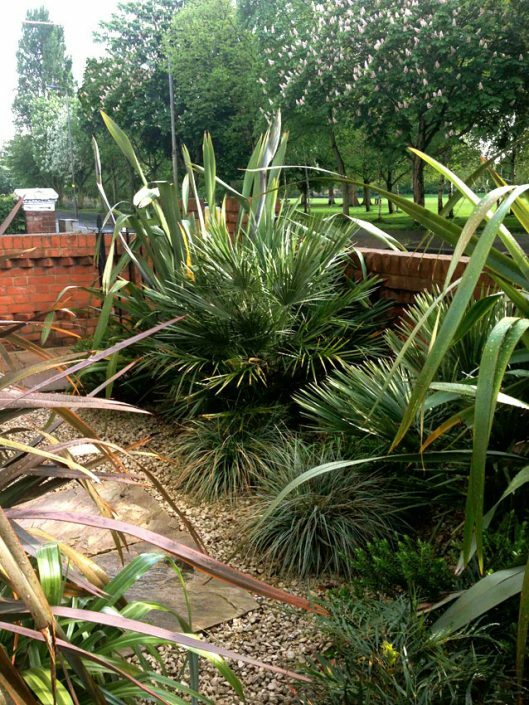 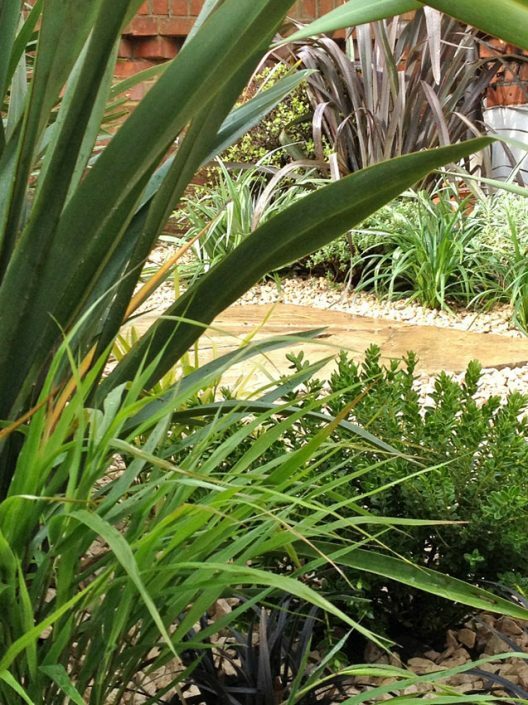 Focal point plants were two large dwarf palms – Chamaerops humilis that are hardy in the UK, quite slow growing and make a nice compact form. 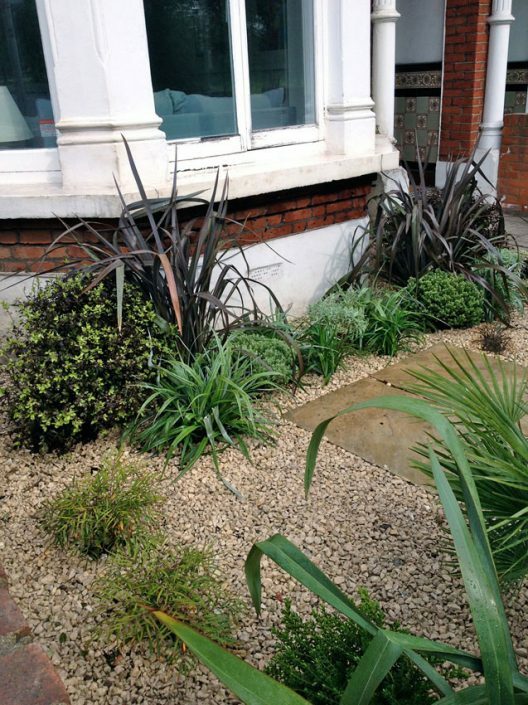 Lots of other spiky leaved shrubs and grasses were used, and these contrasted with smaller tight leaved plants creating mound forms. 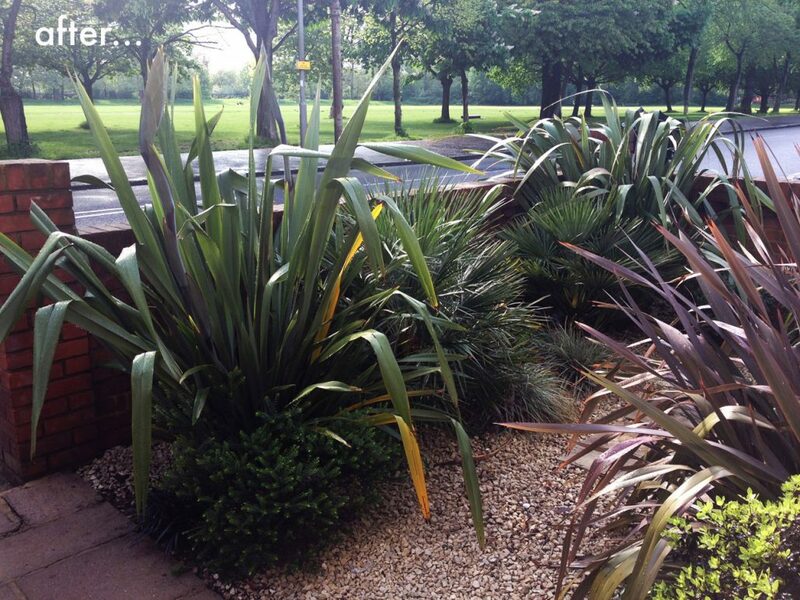 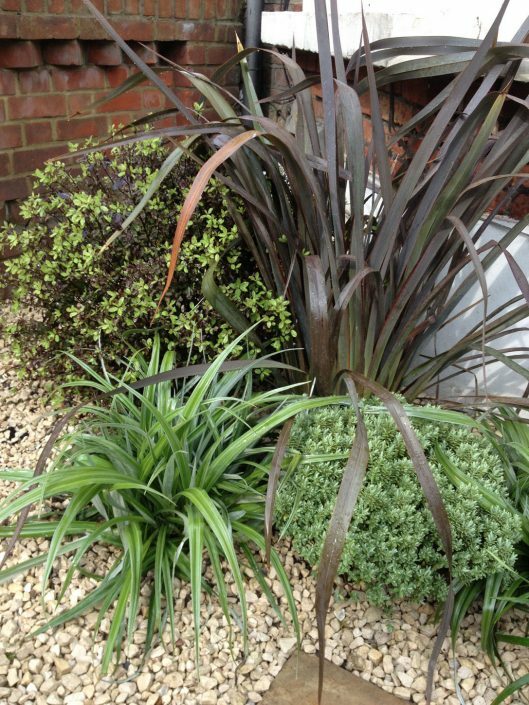 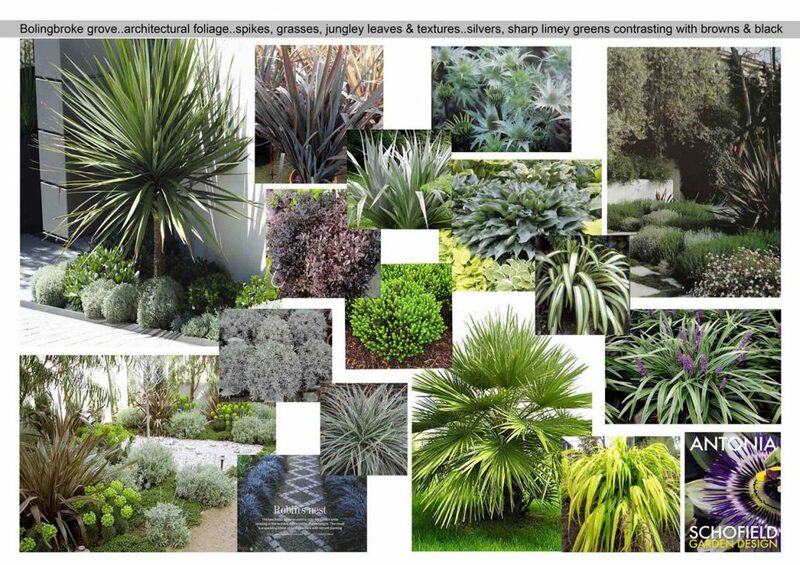 This scheme works really well as an all year round low maintenance option, with 90% of the plants being evergreen.